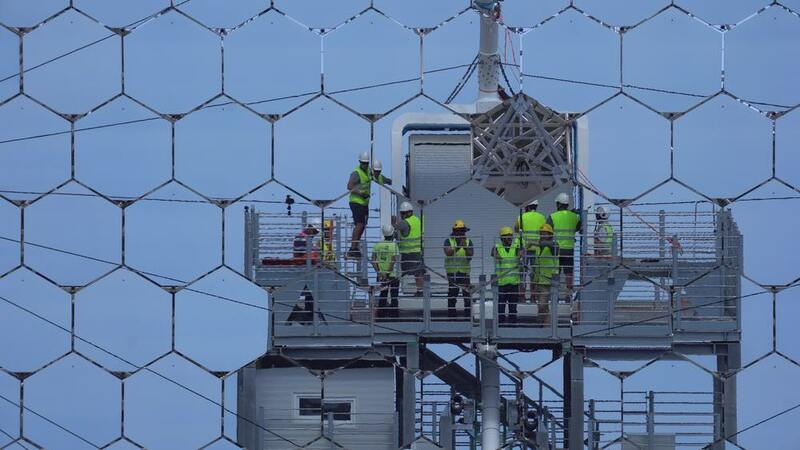 On 25 September 2018, the team constructing the LST prototype telescope, achieved the final major milestone of the construction project when they successfully installed the camera. 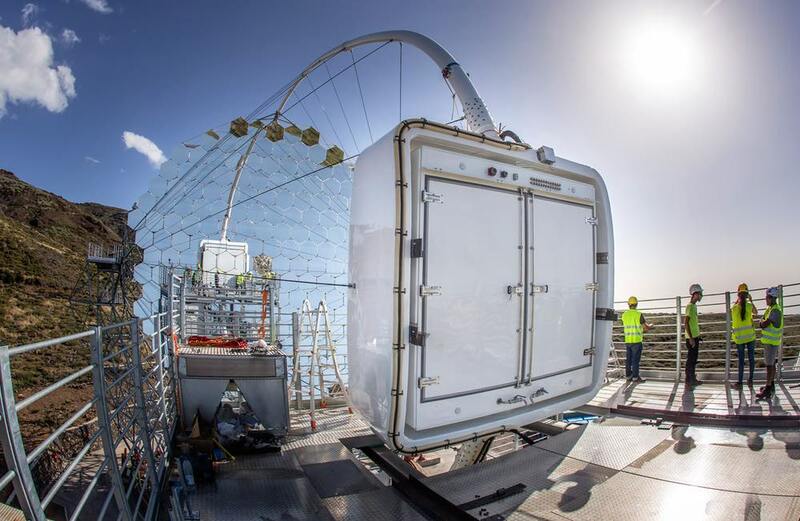 The prototype, named LST-1, is intended to become the first of four LSTs on the north site of the CTA Observatory, which is located on the existing site of the Instituto de Astrofisica de Canarias’ (IAC’s) Observatorio del Roque de los Muchachos (ORM) located in the municipality of Villa de Garafia on the island of La Palma. It was on 9 October 2015 that the first stone-laying ceremony took place for the LST-1. 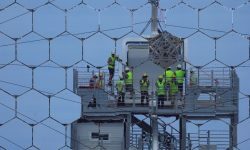 After the telescope foundation was completed in January 2017, the team moved swiftly and steadily toward its next major milestones: installation of the center pin and rails (September 2017), mounting of the dish (December 2017). 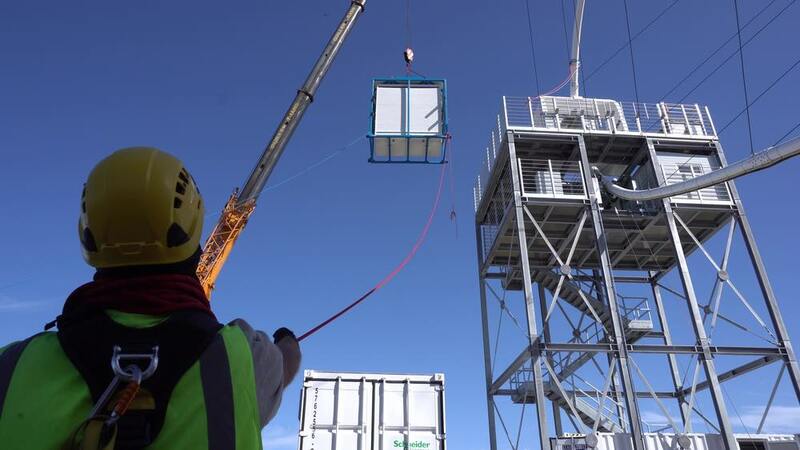 In 2018, the LST-1 structure was completed in February and the camera support structure was installed in June. The camera, which covers a field of view of around 4.3 degrees, is composed of 1855 photomultiplier tubes (PMTs) – devices that transform the light into an electrical signal. After a complete performance review at the Institut de Fisica d’Altes Energies (IFAE) in Barcelona (Spain), performed with LST members from Madrid (CIEMAT, UCM) as well as France (CPPM, LAPP) and Japan (ICRR, Kyoto University), the camera was shipped to La Palma at the end of the summer, but it was not until 24 September that it was finally transported up to the ORM and then successfully installed on 25 September. The LST team consists of more than 200 scientists from ten countries: Brazil, Croatia, France, Germany, India, Italy, Japan, Poland, Spain and Sweden. In this truly international effort, the design and management leadership was shared among LAPP, Annecy, France; Max Planck Institute for physics, Munich, Germany; INFN, Italy; ICRR, University of Tokyo, Japan; and IFAE, Barcelona and CIEMAT, Madrid, Spain. 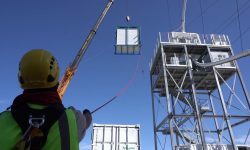 The LSTs will cover the lowest end of the CTA energy range, between 20 and 150 gigaelectronvolts (GeV). 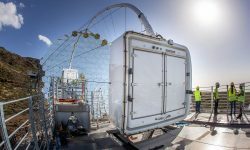 An additional four LSTs are planned for the Observatory’s southern hemisphere site located at the European Southern Observatory’s (ESO’s) existing Paranal Observatory in the Atacama Desert (Chile). The LST-1 will now undergo rigorous testing to ensure it complies with CTA’s science goals, operational needs, safety standards, etc. 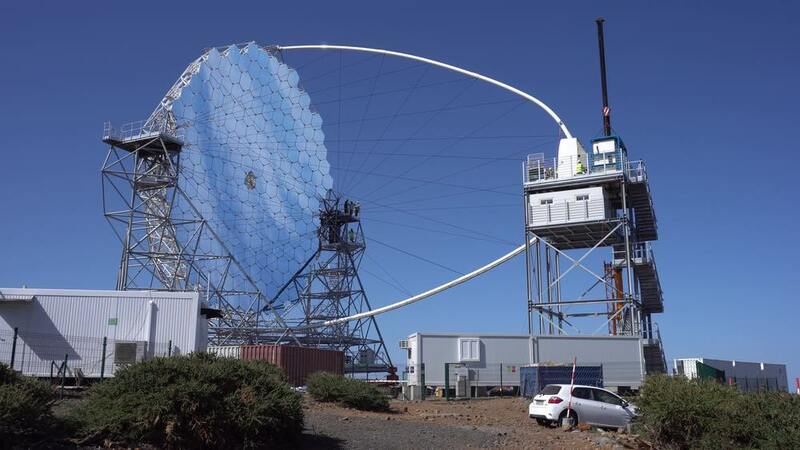 before it can become the first LST telescope of CTA, and, in fact, the first telescope on a CTA site. On 10 October 2018, more than 200 guests from both local and international stakeholders of the LST-1 construction project, will attend an inauguration ceremony on ORM. This is a very exciting time for everyone involved, and we are looking forward to celebrating this impressive achievement! Learn more about the LST and watch the construction live on the site’s webcam.